Born in Yorkshire in 1959, Ann Armitage studied Fine Art at the Canterbury College of Art and Design, graduating in 1987. After living and working in London for many years, Ann moved to the remote West Penwith peninsula in Cornwall in 2006. Her seascape and landscape paintings are heavily textured, reflecting her response to the memories of daily walks around the rugged and wild coastline around her. The crashing sea, a farm on a hillside, a coastal path or a distant tin mine provide the inspiration for her beautiful and dramatic work. The paintings are carried out in her studio where she relies on her memories and responses to the weather, the atmosphere and light of the landscape around her. The subjects of her still lifes are the pots, bottles and cups in her studio and she has recently developed a series of paintings where each element is set up in careful relationship to the other objects depicted. This attention to light and form has resulted in paintings which are reflective, almost meditative, in tone. 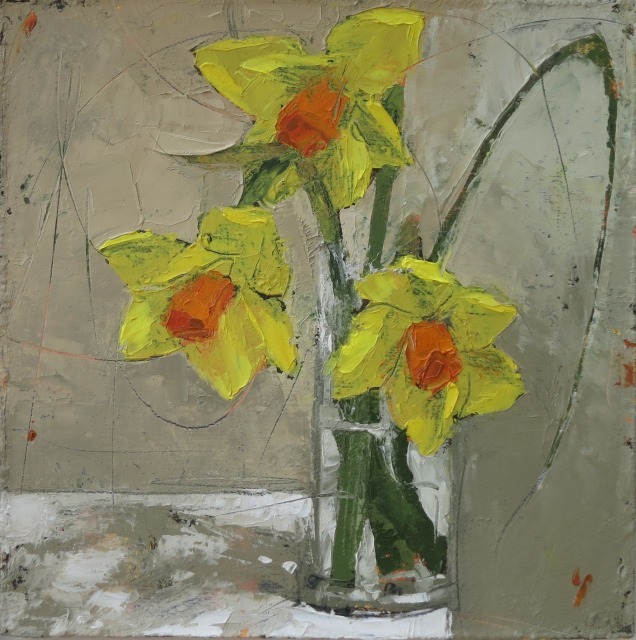 Ann has exhibited her work at the Royal Academy, the Royal West of England Academy, the New English Art Club and at many galleries throughout the UK and has won awards, including The Discerning Eye at the Mall Galleries.